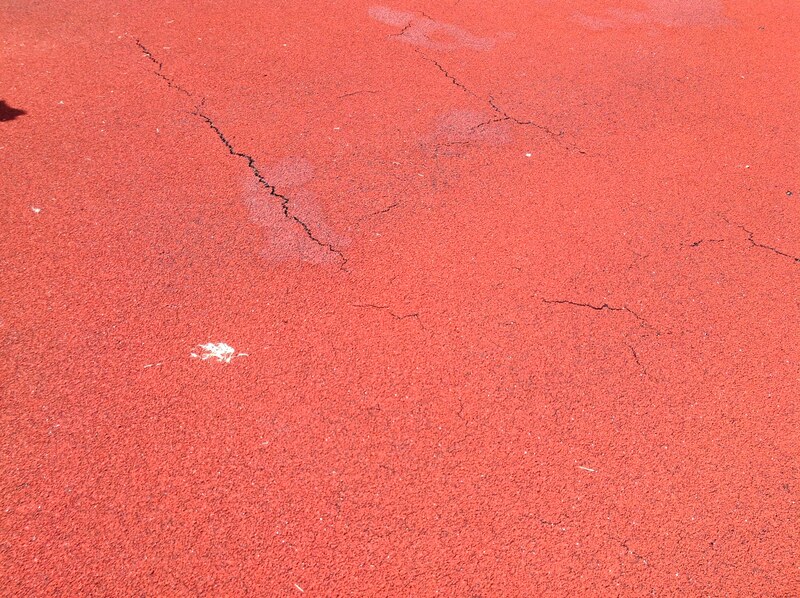 Regardless of how well or how poorly a sports facility is constructed and maintained, eventually there will be the need for repairs to ensure the facility performs as intended and is safe to use. At American Athletic, we believe in a four step process, listed below, to help ensure that an owner receives the best possible chance to optimize safety, performance, and longevity for their new facility. Review project maintenance manuals to develop an understanding of all the nuances associated with the care of the new sports facility. Consult with a sports facility expert (preferably an ASBA “Certified Builder”) to ensure the plan is sound. Evaluate the facility twice a year to ensure the maintenance program is effective and to head off any issues that may arise. When issues do arise that need attention, make sure you are hiring an experienced and qualified contractor to perform the work. Preferably a company with a ASBA “Certified Builder”. As with any investment in newly constructed property, proper maintenance is the key to ensuring that unnecessary repairs will never need to be made and that the intended use and longevity for the facility be achieved. 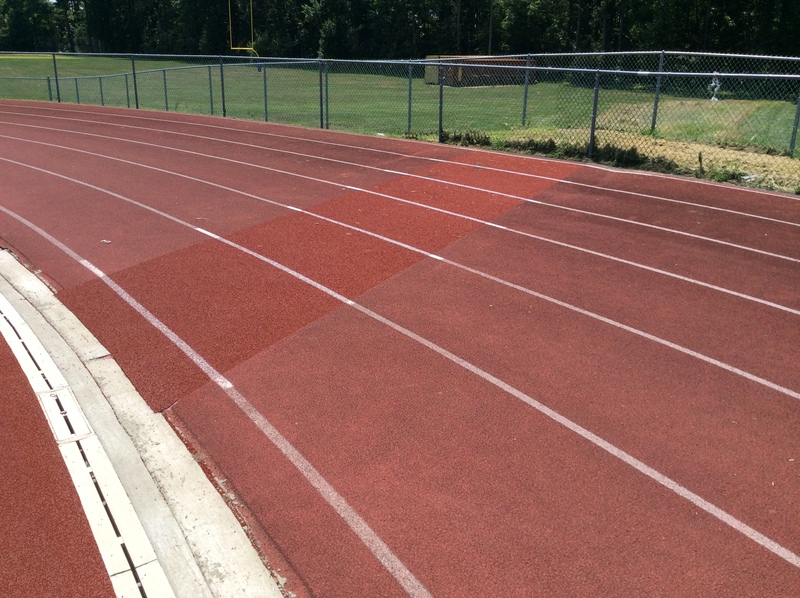 Most sports facility projects require that some type of maintenance manual be provided at the conclusion of the project. It is extremely important that the owner’s related personnel review and become thoroughly familiar with this material. To help with this process, the owner’s representatives should consult with an expert in this field (hopefully the builder!) and ensure that a sensible and effective maintenance program be implemented. Once this occurs, the real starting point of a successful maintenance program will be the initial and then periodic evaluation of the surface and/or facility with an experienced person or company knowledgeable in outdoor sports facilities (preferably by an ASBA “Certified Builder”). It is important that this evaluation be done twice a year, immediately before and after the harshest weather periods. Every September/October followed by every March/April would be a good target although that will also depend on the heavy use periods and when it is practical to do repairs or maintenance when necessary. Typically, problems will reveal themselves after a heavy use season and/or after a harsh weather pattern such as those found in winter. Freeze/thaw cycles can wreak havoc on your facility and it is most important to inspect the facility as soon as the weather breaks – this is arguably the most important evaluation of the year. When the time finally does arrive where repairs or remedial work is necessary, it is important that you hire a company with substantial experience and success with this type of work. Just as you sought out the most qualified company to perform the initial work, you will need a company to perform the new work to the highest quality level possible! When it comes to sports facilities, there will be no better choice than an ASBA Member and preferably one that has “Certified Builders” on staff along with a vast portfolio of quality work. Some types of repairs you might need are listed below, separated by facility type. 1 (800) 427-5705 or email us at info@trackandturf.com. We will put you in touch with one of our qualified salesmen to get your project started! Where we do most of our work. in as little as a few hours to a day or two! Facility owners often ignore drain cleaning. Over time, rubber or turf can build up and clog your drains easily! 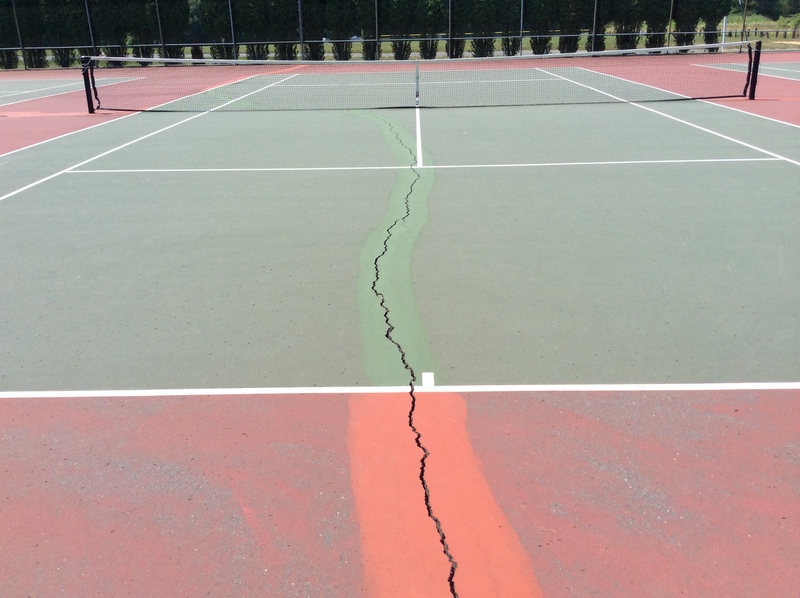 Crack repairs on tennis courts or basketball courts are only temporary. The cracks/damage will reappear over time!